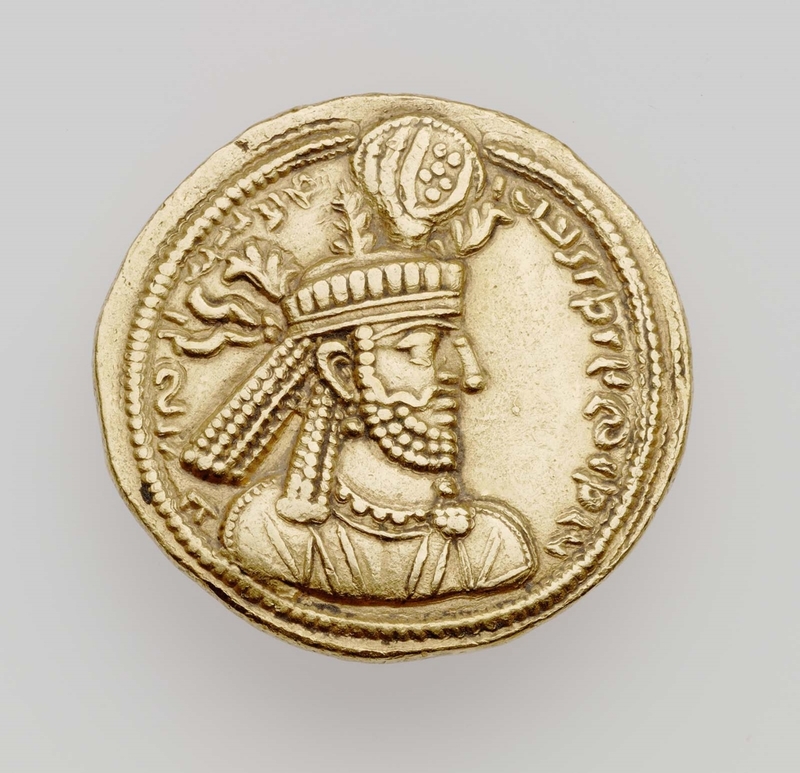 Obverse: Bust of Narses, beard, mustache, plaited hair divided, crown with three foliated branches and streamers surmounted by a globe adorned with six dots. Inscription. 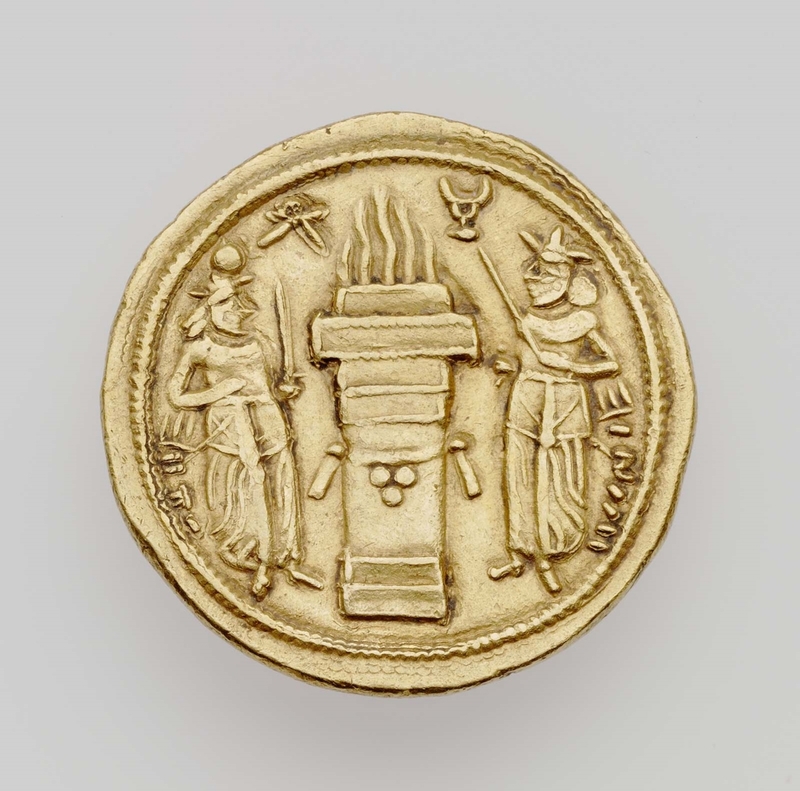 Reverse: Fire altar with bands and triple dots; attended by king on left wearing crown and globe, holding a sword; on right by priest with mural crown holding sword; left of fire frohar symbol; right of fire taurus symbol; grenetis. No inscription.